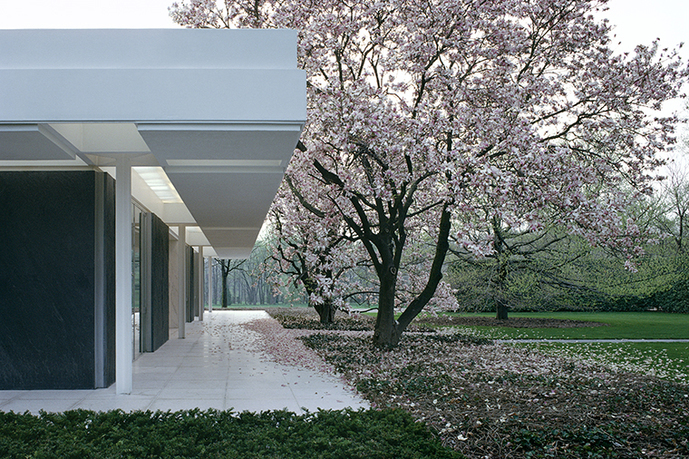 Eero Saarinen and Associates (architecture) and Daniel Kiley (landscape), Miller House and Gardens (exterior view along the south terrace of the children's wing with flowering magnolias), 1953–57. Columbus, IN. Photo: Balthazar Korab, April 1982. Courtesy of Library of Congress, Prints and Photographs: Balthazar Korab Collection. 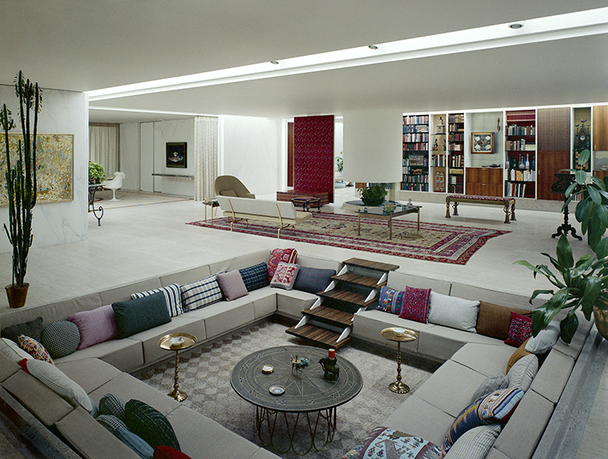 This book is the first definitive monograph on the Miller House and Gardens in Columbus, Indiana (1953–57), a project that exemplifies one of the most extraordinary collaborations ever assembled for a modern dwelling: Eero Saarinen and Kevin Roche (architecture); Alexander Girard (interiors); Daniel Kiley (landscape); Balthazar Korab and Ezra Stoller (photography); J. Irwin and Xenia Miller (clients/patrons). 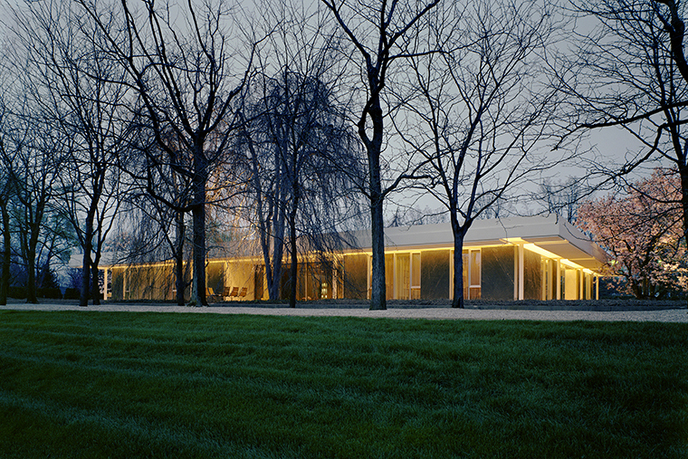 This publication builds upon previous research conducted for Comazzi’s book on Balthazar Korab, who photographed the Miller property extensively for over forty years. The investigation combines field analyses of the house and gardens along with archival research of the materials and documents produced by the respective collaborators. The book contributes new scholarship on the collaborative practices and cultural movements that influenced the design of the house and gardens, while providing a critical reflection on the project as an embodiment of mid-twentieth-century modern living.